The Liao troops invade the land of Song Dynasty by setting up a formidable formation at Tianmen Gate, which can only be cracked by the Dragon-Taming Wood from Muke Fortress. Yang Zongbao is ordered to investigate undercover. The chief of Muke Fortress Mu Guiying admires Yang Zongbao and hopes to marry him. But the arrogant Yang Zongbao despises and makes fun of this country girl because of his noble blood. After a series of funny twists and turns, they finally break through the Tianmen Gate and become a couple. Mu Guiying even becomes a legendary heroine in the war against the Liao Dynasty. 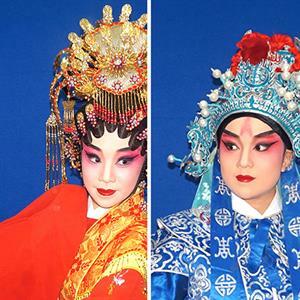 Members of the Cantonese Opera Juvenile’s Troupe of General Union of Neighbors’ Association of Macao lead the cast of this performance with powerful singing, acting and fighting scenes. Their previous performances Hanjiang Gate, Yang’s Female Warriors, and The Legend of the White Snake have won the hearts of many audiences. The troupe brought their Hanjiang Gate to the stage in Beijing during the National Chinese Drama Performance of Regional Theatres and Troupes and received great acclaim.